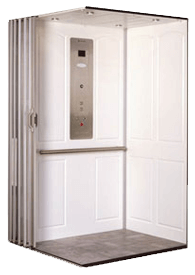 Nationwide Lifts' Freedom Hydro is an economical home elevator with a hydraulic drive system. 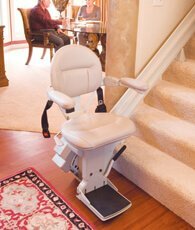 The smooth hydraulic ride of the Freedom Hydro elevator provides a high-end experience at an affordable price. 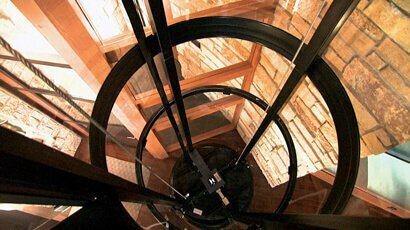 The Freedom Hydro elevator has a capacity of 1000 lbs, and the elevator’s cab runs up to 36 feet per minute. 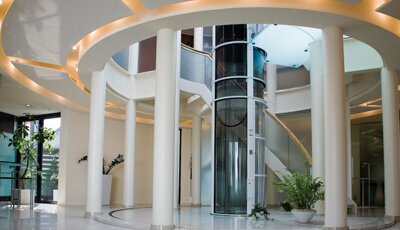 This elevator can travel to heights up to 50 feet and six stops. 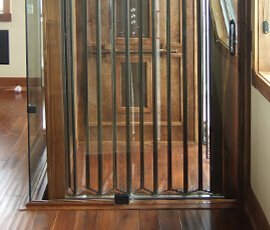 The standard elevator car has an interior height of 80 inches, with the option to upgrade to 95 inches. 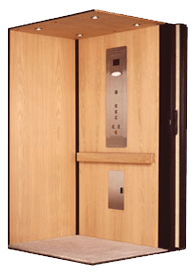 Safety features for this elevator include a battery-powered lowering, emergency alarm, and automatic door locks. 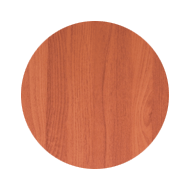 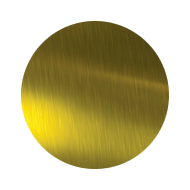 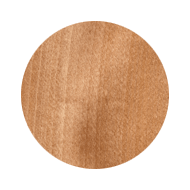 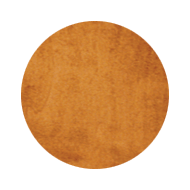 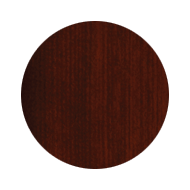 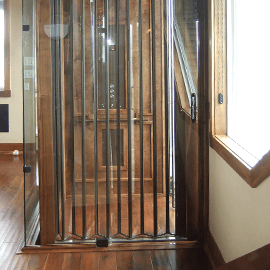 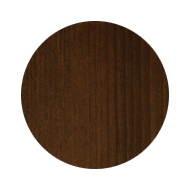 In addition, Freedom Hydro elevators come in a variety of finishes to match the wood in your home. 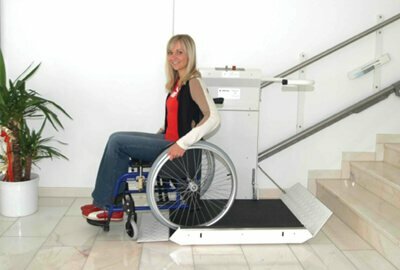 The Freedom Hydro is available in different elevator door configurations. 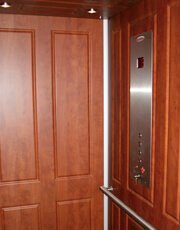 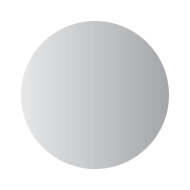 The most common elevator door configuration is a single side entrance. 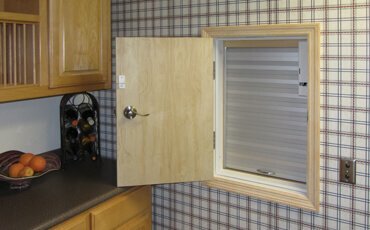 Walkthrough options have doors either 90 or 180 degrees apart. 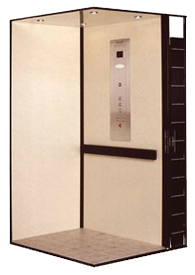 A machine room is required for this elevator. 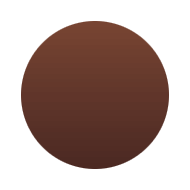 In most regions, the machine room can be as small as 3’ wide by 2’ deep. 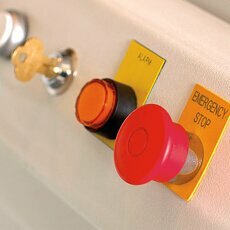 The elevator power and a functional telephone jack must be present in the machine room. 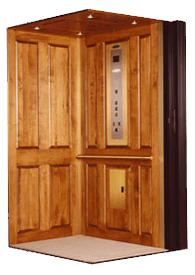 The telephone line will be routed from the machine room to the elevator cab.